Gertrude Emilie (Salm – Rumocki) Gedde, 91 years old, formerly of Cedarburg, passed away to her Heavenly Father on Wed. February 23, 2010 at Horizon Hospice of Columbia St. Mary’s Hospital-Ozaukee Campus in Mequon. She had been a resident of the Harbor Club in Port Washington since September, 2007. Gertrude Emilie Bertha Pauline Frances Theresa Anna Salm was born Nov. 15, 1919 in Stuttgart, Germany, two months early and weighing only 2 lbs. She was baptized Gertrude because the next day was the feast of St. Gertrude, and the Sisters at the hospital did not expect her to live. Her mother, Emilie Bayer married George Salm on Nov. 12, 1921 and in April l923 George, Emilie and Gertrude sailed on the ship, Mount Carroll, from Hamburg, Germany to Ellis Island, New York, and had to provide an affidavit of support, given by George Salm’s brother-in-law, who lived in Milwaukee, WI. They traveled to Milwaukee by train and Gertrude grew up there, married Roman J. Rumocki at St. Francis Catholic Church in Milwaukee on August 7, 1941. She raised three children in Shorewood and Milwaukee. Gertrude worked at Western Iron Stores as a secretary for many years. After Roman’s passing in April, 1969, she booked passage on a cruise ship to the Scandinavian countries. She met Erik Gedde of Park Ridge, IL on the ship. They were married on Feb. 12, 1972 at St. Margaret Mary Catholic Church in Milwaukee. They lived in Cedarburg, WI, Florida, and McHenry IL. Upon Erik’s passing on July 10, 1992, Gertrude moved back to Cedarburg. She had enjoyed boating and working on crafts with Erik, and took up quilting and gardening during their years together. She is survived by her two daughters, Kathleen (Richard) Matter, of Elk Mound, WI and Eileen (John) Leigh of Houston, TX, her step-son, Lance (JoAnn) Gedde of McHenry, IL, step-daughters Joan (Don) Lechner of McHenry, IL and Deanna (Jim) Schmid of Wilmette, IL. Also surviving Gertrude are her sister, Loretta Beal of Menomonee Falls, 5 grandchildren, 5 great-grandchildren, nephews, nieces, other relatives and friends. 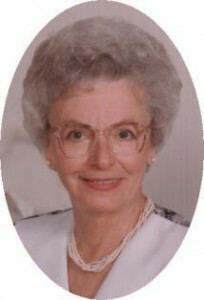 She is preceded in death by her two husbands and her son Dennis (Lola) Rumocki of Grafton, WI who passed away July 1, 2010. A Mass of Christian Burial will be celebrated at 10:30AM Monday, February 28, 2011 at St. Peter of Alcantara Catholic Church, 1802 N. Wisconsin Street, Port Washington. Revered Thomas Lijewski will be the celebrant. Visitation after 9:30AM Monday AT CHURCH. Interment at Holy Cross Catholic Cemetery, Milwaukee.